There are 3 cat videos tagged with husky. 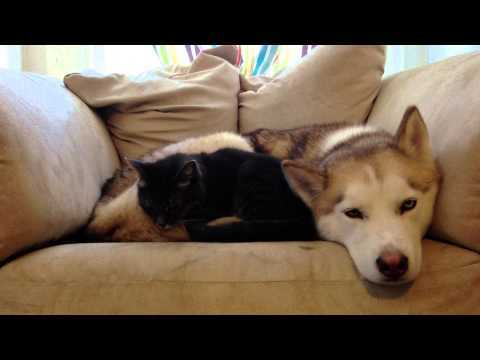 Meet Farina the cat and Maeby the husky, the bestest of cuddle buddies. Winter’s coming soon and what better idea than to snuggle up to your best friend and catch some shut eye. Farina’s obviously no stranger to doing this. The first thing she does is plop down on Maeby’s tail. Which probably makes for a really good pillow/sheet combo. 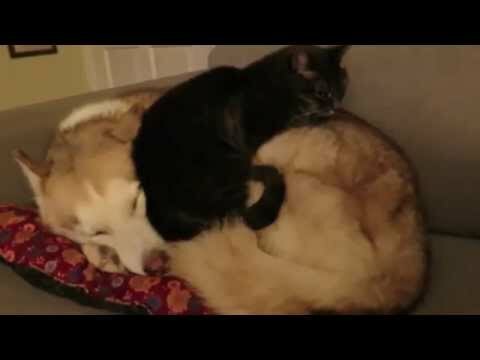 Meet Farina the cat and Maeby the husky, the bestest of cuddle buddies. Winter’s coming soon and what better idea than to snuggle up to your best friend and catch some shut eye. Farina’s obviously no stranger to doing this. The first thing she does is plop down on Maeby’s tail. Which probably makes for a really good pillow/sheet combo. 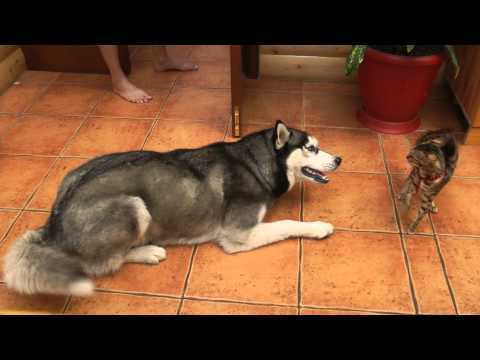 A husky just wants to be friends with a bengal cat but the bengal cat really isn't having it. The dog is excited to meet someone new and the cat, not so much. For much of the video, the cat has an arched back which signals that it wants to keep the playful husky from coming any closer but by the end it is a little more relaxed.